Operating a surgery center, O.R. or hospital is not only an investment of money but also an investment in time and energy spent maintaining the facility. Each piece of medical equipment equipment requires maintenance that is important to ensure the proper use and handling of each system. Without this maintenance, the equipment is bound to fail and thus, the facility will not provide a return on its investment in an efficient manner. 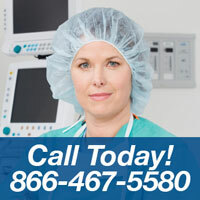 One of the most important pieces of operating room equipment is the patient monitor. These monitors assist doctors and nurses in observing and tracking the patient’s vital signs before, during and after an operation. A properly working patient monitor is vital and therefore, certain steps should be taken to sustain the machine’s condition. Several times a month it is important to take these 5 quick and simple steps to help keep up your patient monitor or monitors. Taking these 5 steps will ensure that your equipment will work properly, stay clean and free of debris and most importantly, last longer. 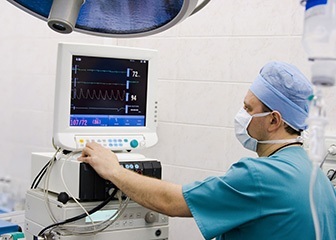 Checking the filter of your patient monitor is important because the build up of debris, dust or other particles could damage and drastically shorten the life of the monitor. Cleaning the filter weekly is necessary to ensure it is free of debris. Wiping the monitor down weekly will further ensure that the equipment is clean and free of dust or debris which could work its way into the machine. The monitor’s water traps need to be checked and emptied frequently and after each and every surgical procedure. An overfull water trap could ruin the patient monitor. Having your patient monitor calibrated is vital to the life of the monitor. You will need a certified technician to calibrate your machine for you. To find a certified technician, please click here. Having preventative maintenance performed on your machine is not only wise but also necessary for the life of your machine. Preventative maintenance ensures that your machine is in correct working condition and that it doesn’t have any foreseeable problems present. Making sure the proper care is taken to keep your equipment working and looking like new is easy and important and will increase the lifespan of your investment by years.